Meet 13News Now Meteorologist Rachael Peart! Rachael joined the 13News Now weather team in October 2018. Most recently, she worked in eastern Iowa at KWWL. Rachael forecasted tornadoes, record flooding and temperatures some days that were colder than Alaska (think -20°F with -40°F wind chill). During her time in Iowa, Rachael was part of both Emmy-winning and Emmy-nominated newscasts. The broadcast division at the Herald-Mail in Hagerstown, Maryland is where she began her on-air career. Rachael is the daughter of two veterans. Fun fact: she was actually born on base in her home state of Maryland. Her parents are from Trinidad and Jamaica and Rachael is proud of her Caribbean heritage. Rachael is thrilled to be much closer to home and her family. She hopes to become a part of the Hampton Roads community by encouraging STEM education in schools, supporting other military families and in other ways. 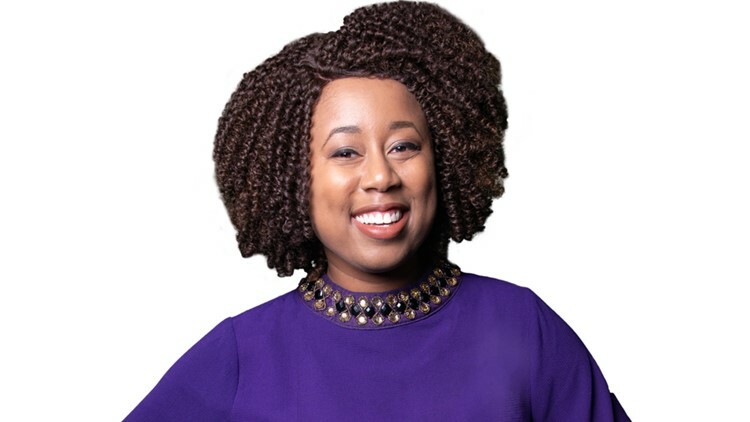 Rachael earned her meteorology degree from Penn State and is a member of the National Association of Black Journalists, American Meteorological Society, and the National Weather Association. She currently serves on the Board for Early Career Professionals for the American Meteorological Society. Rachael is also an advocate for Lupus Awareness and has earned the Certified Broadcast Meteorologist designation from the American Meteorological Society. You can keep up with Rachael on Facebook and Twitter. P.S. - Her name may seem simple but it's actually pronounced "Rachelle Peert".